The UK Space Agency has today announced at the Farnborough International Airshow that Wales will play host to the 2019 UK Space Conference, with the new International Convention Centre (ICC) near Newport confirmed as the event venue. 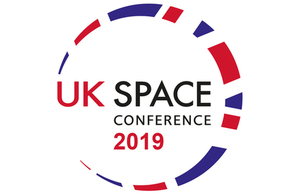 Dr Graham Turnock, CEO of the UK Space Agency announced that the conference will take place on 9 to 11 July 2019. The UK Space Conference is considered the most influential event for the space community, bringing together government, industry and academia, to build links, share opportunities and address mutual concerns at a crucial time of unprecedented change and growth for the sector. The position of Programme Committee Chair is now open for nominations; this committee is responsible for defining the theme, shaping the content and selecting the speakers. Nominations for members of the committee are also welcome. We are looking to ensure wide engagement in the conference and so encourage people from across the community to put themselves forward. The 2019 conference is set to be the biggest and most significant event to date with over 1,200 delegates anticipated. The ICC Wales, an £84 million investment development, is due to open shortly before the 2019 event. This biennial conference has been held previously in Glasgow, Liverpool and Manchester, with the first held in 2011 in Warwick. "We are working with the space sector to build on our significant capability and maximise the benefits of space to life on Earth, creating jobs and opportunities across the country. "The UK Space Conference is a fantastic event for sparking the kind of collaborations and partnerships that will help our sector grow. I am delighted that Wales will be hosting the 2019 conference and I’m sure it will build on the huge success of the 2017 conference in Manchester." "The UK Space Conference provides a vital forum for the UK space sector, academia and policy makers to network, debate, form new collaborations, and do business. It’s a key event for SSTL, and a fixture in my calendar." This 2017 programme included 5 plenary and 28 parallel sessions which were carefully designed to inspire, enable and connect the space community. 180 speakers delivered a total of 43 hours’ worth of content and discussion to 1,200 delegates. Speakers included British ESA Astronaut Tim Peake, one of the most inspirational figures in the UK space sector, who spoke in the closing plenary entitled ‘Inspiring the future through exploration’. Other influential speakers included; Professor Jan Wörner, Director General of the European Space Agency, and Andy Green, President of UKspace and chair of the Space Sector Council.